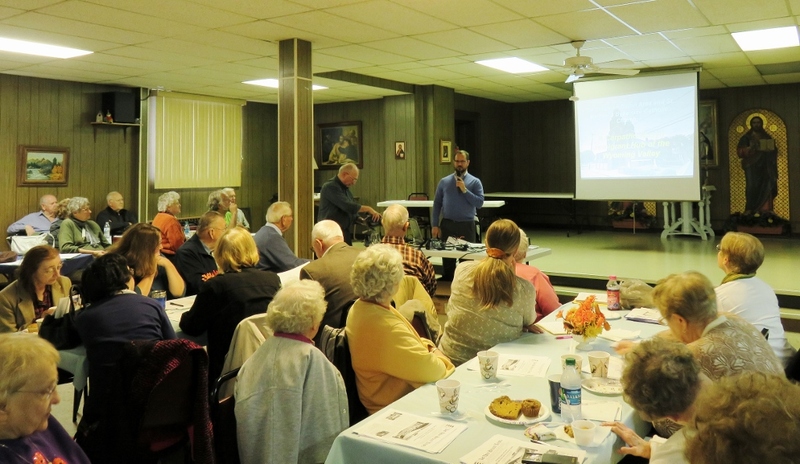 The steady morning rain on Saturday, October 3rd did not stop those wishing to learn about their ancestry from attending a very special program hosted by St. Michael’s Byzantine Catholic Church, 205 N. Main Street, Pittston. In fact, quite a few participants made the journey from neighboring states in spite of the weather, including from New Jersey, Maryland, New York, and even Florida. Many came from other parts of Pennsylvania for the program that was held 9 am to 3 pm in the church hall. Entitled “Celebrating the Present/Understanding the Past”, three speakers were featured. They were sponsored by the Eastern Pa Chapter of the Carpatho-Rusyn Society: Rich Custer, Dr. Michele Parvensky, and Dr. Peter Yasenchak. 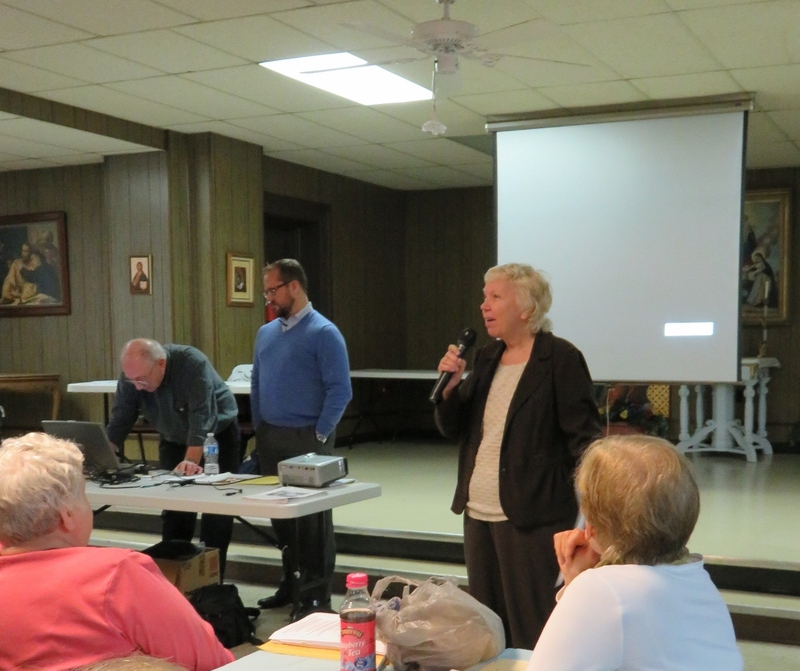 All three captivated those in attendance with their expertise of Carpatho-Rusyn history. But they also entertained with their lively presentations. While most people with an immigrant past connect their historical ethnicity to a specific country of origin, those with Rusyn ancestry have difficulty doing the same. This is because there is no single country in Europe that Rusyns can call their own. Rather than a country, people with Rusyn roots must point to a region that stretches from eastern Slovakia to Western Ukraine and to parts of Poland. Over the centuries, the boundaries and borders of ruling governments changed, giving rise to further confusion when these immigrants were asked to identify themselves upon arrival in America. Some may have identified themselves as Hungarian, others as Slovak, and others as Polish or Ukrainian — all countries that occupied the places where Rusyns lived. This region of Europe is often referred to as Transcarpathia, and the people who came to America numbered quite significantly in the eastern United States. Most settled in Northeastern Pennsylvania, and in sections of New Jersey and Connecticut. The coal industry in our area was one of the reasons many chose to emigrate – with the goal to work hard to start a new life. The earliest wave arriving in the U.S. settled in the southern coal fields, while later waves of immigrants made the northern coal field their home. The Rusyn people who came mainly between 1880 and 1920, had traditions and religious practices different from immigrants already present in the U.S. Because of this, the Rusyn immigrants started their own social groups and built their own churches, known originally as Greek Catholic Churches (now called Byzantine Catholic). However, they were not Greek. To add to the challenges already facing them, acceptance by others — of their different customs in American society at the turn of the 20th century — was not always easy to achieve. In some cases, it resulted in alienation and disagreements with established institutions. As a result, many Rusyns found it easier to assimilate into other ethnic or religious groups. The first generations that followed, unless informed about their own family history, would have little to no knowledge of their actual ethnic history. Today, many people of all ages are researching their genealogy and are now learning about their Rusyn ancestry. There are many resources online and elsewhere. 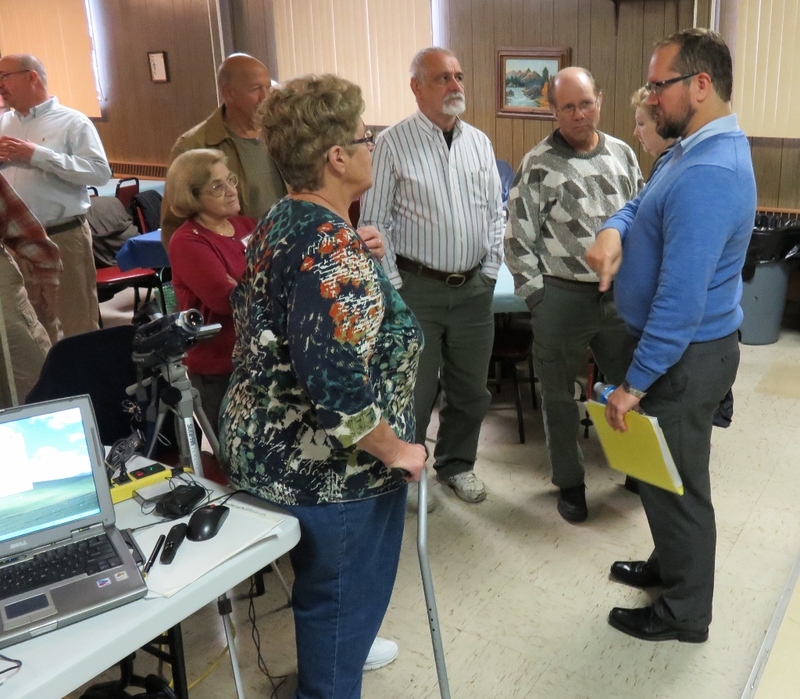 By hosting this program, St. Michaels is helping those with an interest to explore and learn about the families who settled in Greater Pittston and their own family history. 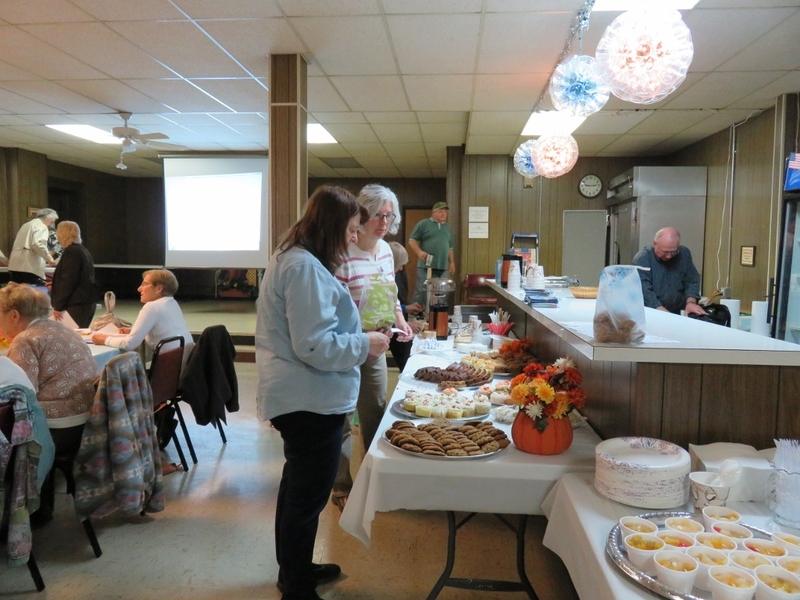 The presentations on October 3rd contained a wealth of information. 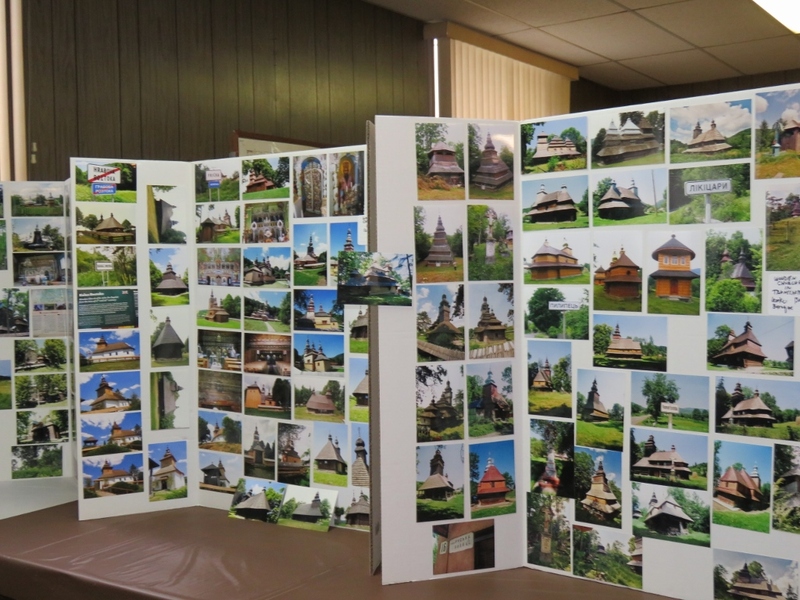 Dr. Michele Parvensky, author/researcher, traveled extensively throughout Slovakia and Ukraine in search of all historic wooden churches throughout the area. The churches are crafted from logs and often without nails, and the interiors are decorated in traditional regional styles, very humble in appearance but rich in antiquity. One unique practice is that if one church was no longer needed in a village, the entire church could be disassembled and moved to a different village where it was needed. However most of the churches now are considered historic and are protected. Dr. Parvensky’s slide lecture featured contemporary rural Slovakia, with farming methods in use today that have hardly changed from the past. Her hundreds of photos of the churches were also on display. Rich Custer, one of the speakers from Washington, DC, is an author/historian researching Rusyn history in Pennsylvania for a future book, decades in the making. His review of the villages in the Carpatho-Rus region and listing of the surnames of immigrant families to St Michaels was impressive. 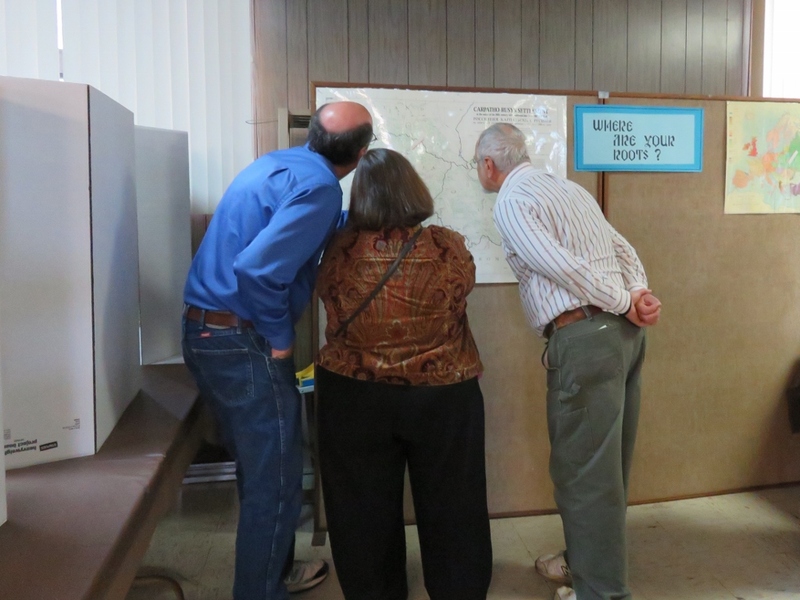 He pointed to villages on a map and read off the family names of parishioners who originated from that village. 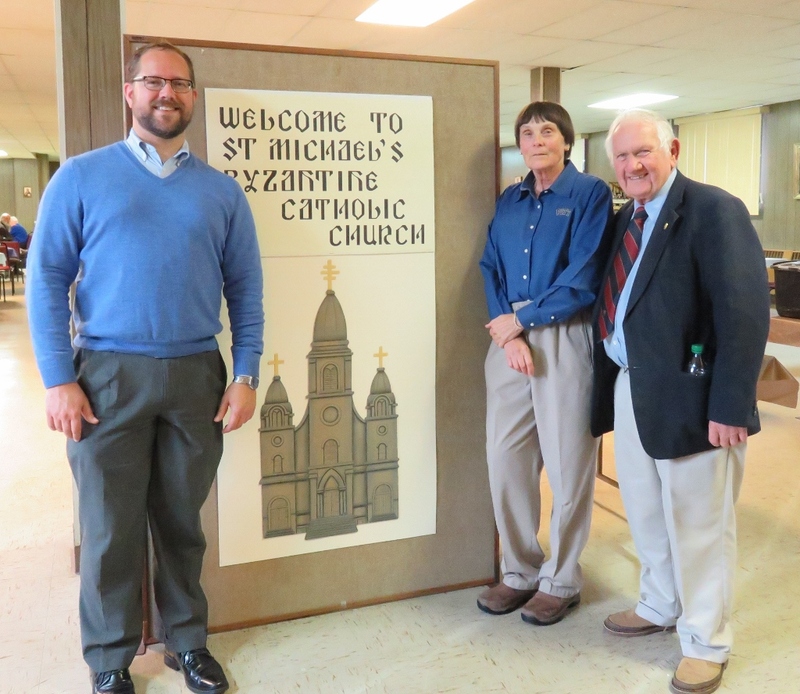 He even linked the stained glass windows in St. Michaels to the villages of immigrants who donated them, as the inscription on each window memorializes that information. 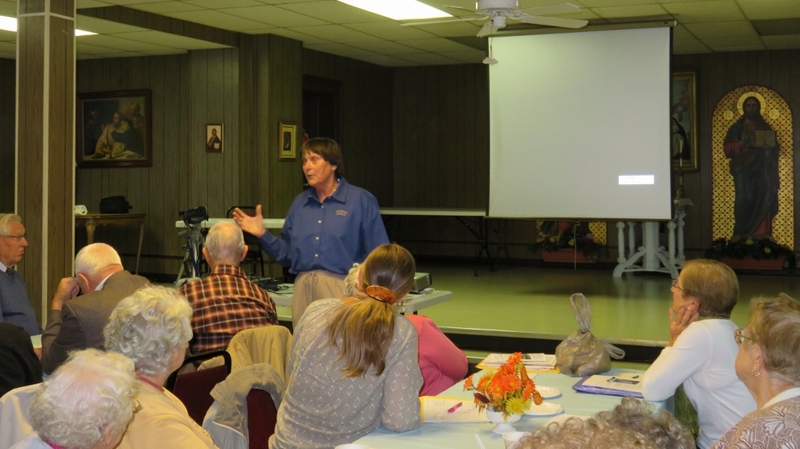 Rich Custer presents a detailed talk on the history of immigrants to the Greater Pittston area, reading off the surnames originating from specific villages in the transcarpathian region. Finally, Dr. Peter Yasenchak described details of life in his immigrant family beginning with their journey to the ships that brought them to America to adjusting to life in the new country. His visual descriptions virtually mirrored what most Rusyn immigrants experienced. Using humor and a story-telling style, Dr. Yasenchak proved that history could be both informative and entertaining as he had his audience laughing frequently. He also gave an overview of the architecture, art and music in a Byzantine style church during the tour portion of the program. Dr. Michele Parvensky begins with description of travel in Slovakia and Ukraine prior to photo review. Sharon Jarrow of the C-RS group serves as emcee for the program. Rich Custer fields questions from a line of inquisitive attendees. 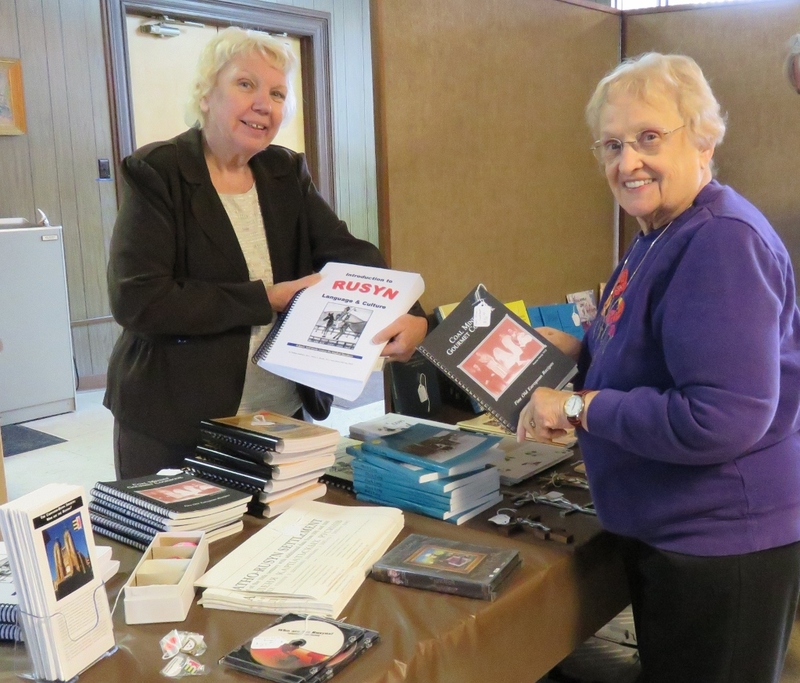 Sharon Jarrow explains and shows books and other materials for sale. Participants search for villages of origin on one of the map displays showing Transcarpathian territory. 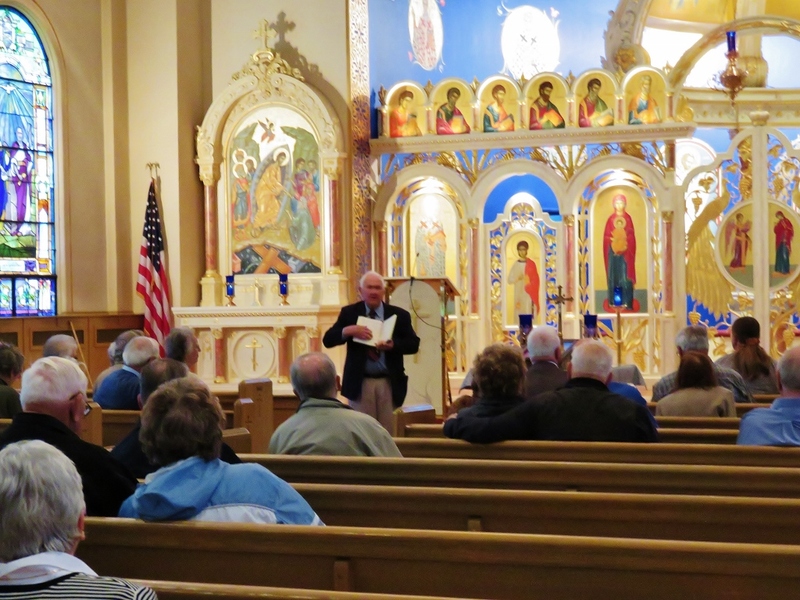 Dr. Peter Yasenchak describes the order of the Liturgy during a chance for participants to tour St. Michael’s church. Homemade baked goods made by St. Michael’s “food team” were a popular item along with hot coffee to start off the day’s events. 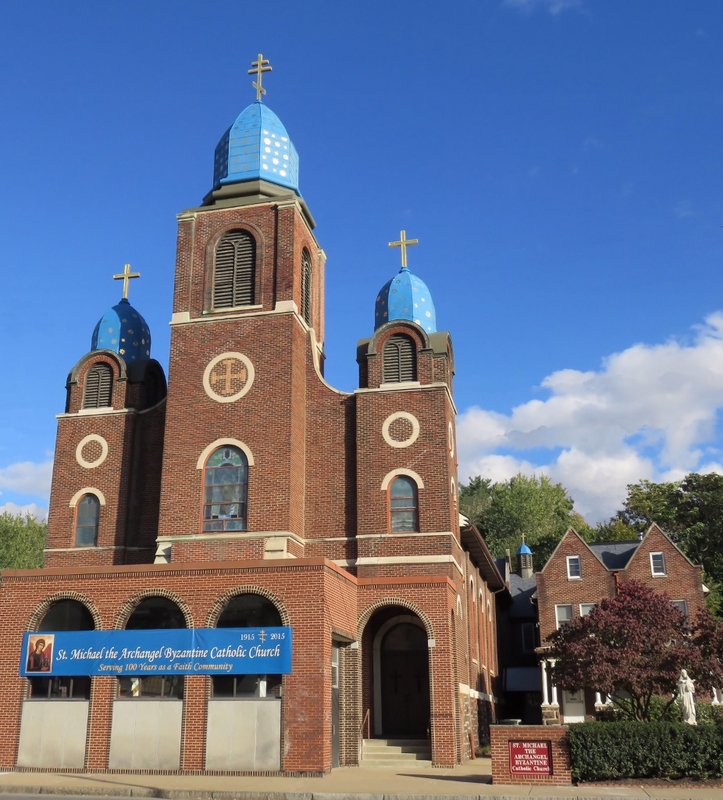 By ByzantineCatholic in Byzantine Catholic on October 11, 2015 .